At On The Dot Removals Bristol our mission is to provide affordable, efficient and friendly removal services which are both socially responsible and have minimal impact on the environment. As removal service providers we recognise our work is with people who are moving through a potentially stressful time of their lives. Fully aware of this we take pride in our responsibility to offer exceptional support during this period. It is of fundamental importance to us that we build rapport and trust with each individual person we work with from the moment you contact us through to the day of your move. We take our work seriously, as moving house is a serious business. As European Green Capital in 2015, Bristol is renowned for its forward-thinking culture and environmental policies and practices. And yet for so many people moving home in Bristol, removal companies aren’t what spring to mind when it comes to reducing their own carbon footprint. We want to change this by putting environmentally responsible removals on the Bristol map. We couldn’t fault the service we received from On The Dot removals. We used them for our office move, and it was important for us that the move take up as little time as possible so that we could all get back to our work. We were very impressed and grateful for the speed at which OTD Removals worked. I believe we received the name of the company on recommendation and would certainly use On The Dot for any similar moves in the future and recommend to anyone else! Great service from On the DoT Removals. They helped our company, Bunker & Co, with the move to our new office. They were really friendly, effective and they really took care of our equipment. Moving offices can be really stressful and they helped us with every detail they could. Can't recommended them highly enough. Thanks a lot! Got from A to B with no issues, nice and fast. Great service, good price! A very professional service with a lovely team of people who helped us move. We felt very looked after all day and the team who moved us were kind and friendly, nothing seemed to be too much trouble. We would highly recommend. Had a really great experience with On The Dot Removals, would recommend to anyone who wants an excellent quality-price service. I received prompt replies and assistance throughout. Jon and Andy arrived perfectly on time, they were highly competent, friendly, super helpful with anything I needed. Made sure everything was safely packed and really took care in moving our furniture and fragile items. Will certainly use them again in future! I can highly recommend On The Dot removals. They moved some items for us from Nottingham to Cork, Ireland in less than 24hrs. They were extremely helpful at both ends and highly efficient. All for a great price. I am sorry to say that I forgot to give them a tip. Thanks lads. First class. Incredibly good service: very friendly and cheery, and professional. And accommodated our slightly complicated requirements easily (two pick-up points, spread over three trips). I recommend them without heistation! We only work with reused removals boxes, recycled wrapping paper and biodegradable bubble wrap. All of our staff wear fair trade certified uniforms made from organic materials and we accept the Bristol Pound, which helps support and promote local Bristol businesses and communities. We also actively encourage lower fuel emissions by offering our customers half price if they are able to utilise one of our empty removal vans on route back from another job (we’ll even go up to ten miles out of our way to get to you). This not only cuts down on our C02 output but offers the chance for our proactive customers to make huge savings on their removal costs. Choose to have a Free home removal survey and we’ll even cycle over to see you. We are committed to offering exceptional customer care at every stage of the removal process, from the moment you speak to us on the phone, through to the big day itself. We will explain every stage of the process and will offer you the package that best suits your needs. We really do want your moving day to be as stress-free as possible. If you require a smaller move or just need a few boxes shifted, we also offer a Bristol Man with a Van service. Q: How long have they been established? A: On The Dot is a fairly new company, having been established in 2011. Over the years we’ve acquired all the skills and knowledge of how to carry out a full house removal without a hitch. Q: How large is the company, can they be competitive for both small and large Bristol removals? A: We’re a small company, with just 3 removals vehicles. This allows us to remain competitive on price for small removals and “man with a van” type services, but also means we can offer very competitive prices for larger 2 and 3 bed house removals. Q: Do they have all of the necessary equipment to ensure your goods are safely transported? A: All our removals vans are fully stocked with the standard Bristol removals equipment: blankets, straps, sack trucks etc. We can also supply specialist equipment on request, such as mattress covers, artwork carriers, wardrobe boxes, freezer bags, etc. Please contact us with your requirements. Q: What insurance do they have in place? A: All Bristol removals companies should have standard removals insurance in place, however, it’s not compulsory by law and some don’t, so it’s worth checking. We cover for up to £20,000 goods in transit and £1m for public liability. Q: Can they demonstrate accountability for their work through a transparent and trusted reviews platform such as Google+? 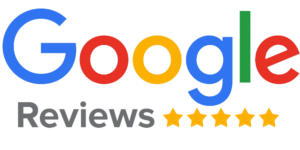 A: We have lots of reviews available to view on Google+. Google+ is a great platform for reviews, as it’s open to everyone to leave their comments and quality checked by Google themselves. Not all review platforms are built the same, so do your research if good reviews are an important factor in making your decision. Q: How far are they able to travel and what are is the extra fuel charge for this? A: Generally most of our moves either start or end within Bristol or close by. If we have to travel outside of Bristol, we do add a fuel charge, but generally, we charge fuel at cost price, so there’ll be no nasty surprises. Q: What are they willing to carry in their removal vans? A: We will generally carry pretty much anything in our removal vans, as long as it’s not very dirty or illegal and it doesn’t bite. A full list of exclusions can be found in our terms & conditions. Q: Can they carry out both domestic and commercial removals in Bristol? A: We mostly carry out domestic home removals and flat removals in Bristol, however, we are happy to quote for office moves and sometimes do collections and deliveries for commercial purposes. Q: Do they charge VAT? A: Most Bristol removal companies charge VAT on there prices. More established companies certainly will be VAT registered. Whilst this means you may pay a little more it is likley you will be getting a more experienced service.